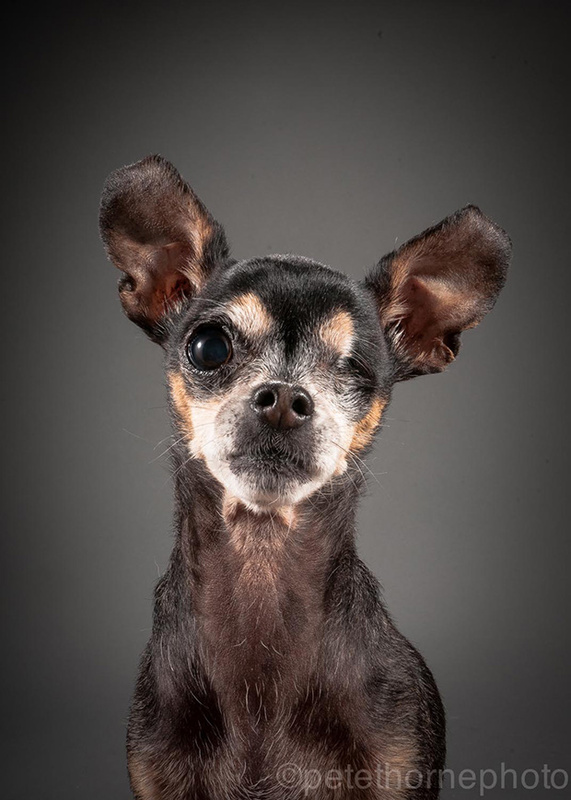 For Old Faithful, Toronto-based photographer Pete Thorne captures the time-worn faces of elderly dogs, inviting the canines to sit for him in his home studio and sometimes making special trips to visit those who, in their old age, are unable to make the journey. Thorne’s wet-nosed subjects come in all shapes and sizes, expressing dispositions ranging from the introspective to the playful. The project, he explains in conversation with the Toronto Sun, began with his centenarian grandmother, who first sparked his interest in photographing the elderly—both human and otherwise—in a world that puts a premium on youth. 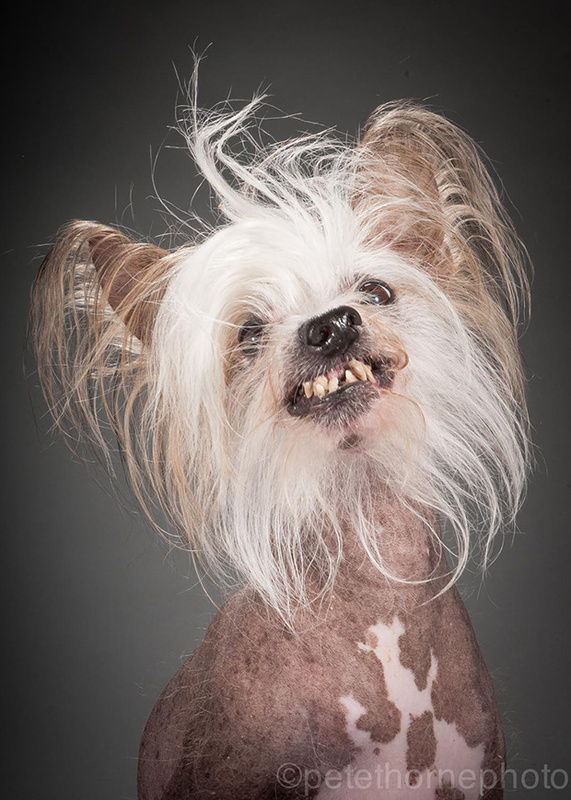 Grinning wide-eyed or gazing fixedly at the camera, the dogs emerge like expectant children on class picture day, curious and eager to participate. 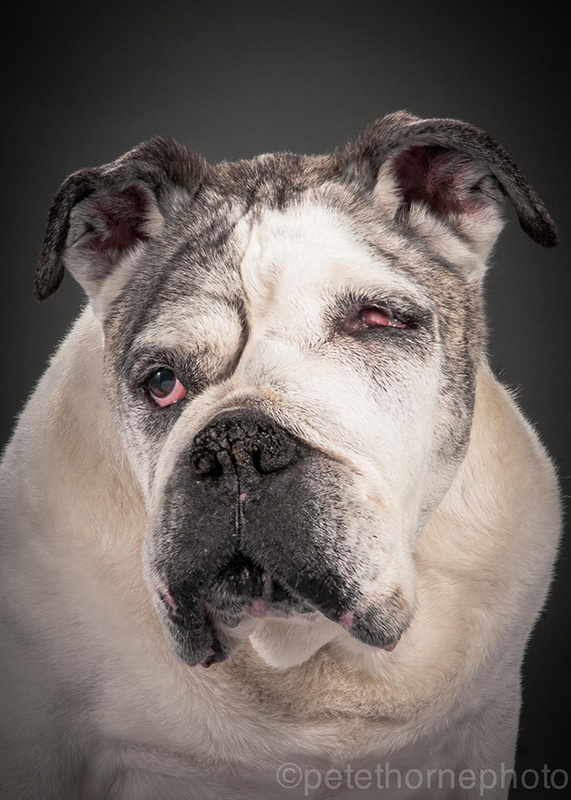 Under Thorne’s lens, the animals are both wizened and innocent, possessing still the youthful exuberance of their puppyhood. 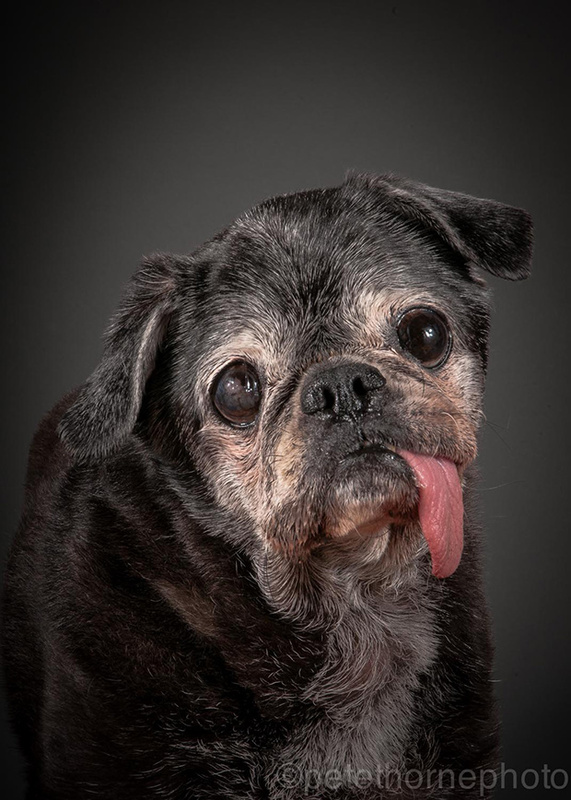 Since he began the project, Thorne has received a slew of daily emails from humans hoping to immortalize their graying companions in the final years of their lives. 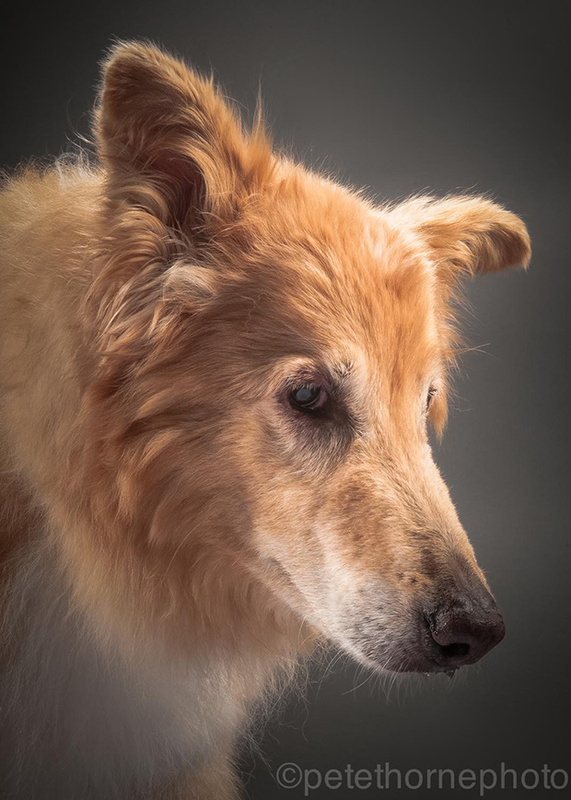 Prior to the shoots, the photographer invites owners to write a small tribute to their dog; knowledge of their histories and dispositions helps him capture them in the most authentic light. 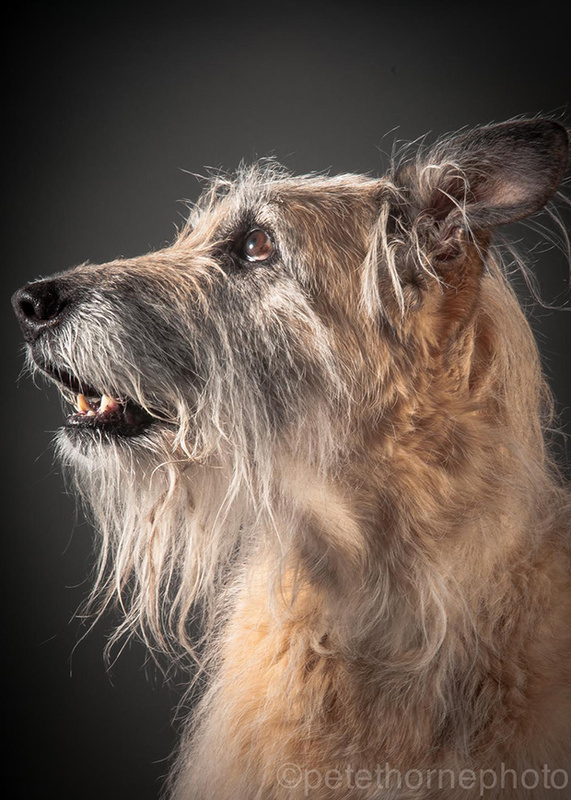 As soon as he captures the perfect emotive expression of each dog, he ends the shoot so as to not to overwhelm the animals. In some cases, the dogs pictured have died shortly after their time with Thorne, his photograph being one of the last of their lives. 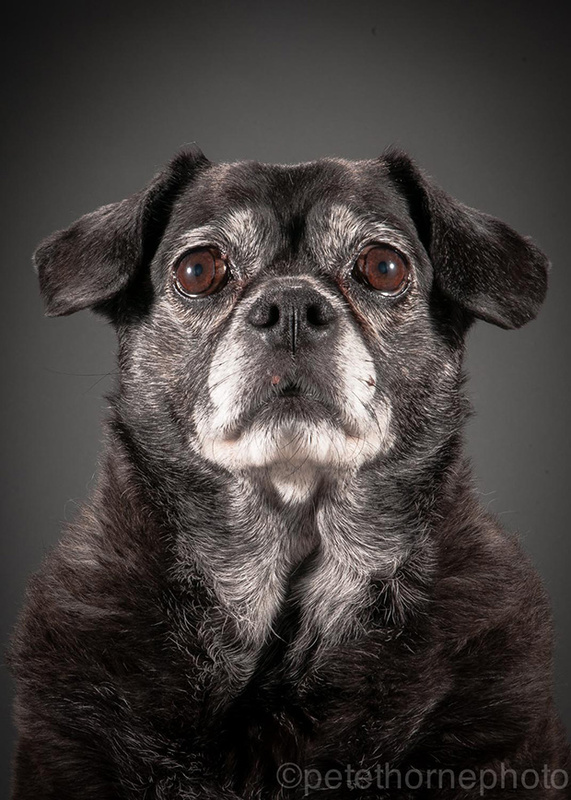 These creaky canines, having been our loyal protectors for many years, come to trust us with their twilight years, a time characterized by both the dignity and the vulnerability of senectitude. 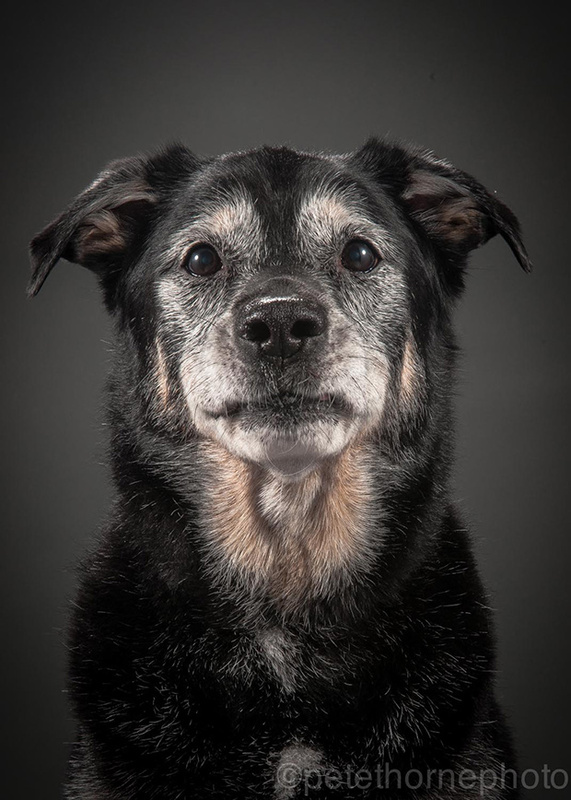 Here, scars, gray hairs, and glassy eyes become a badge of honor, signifying the courage and endurance of a life lived well. There are a lot of dogs in shelters in need of a home. Please choose adoption. 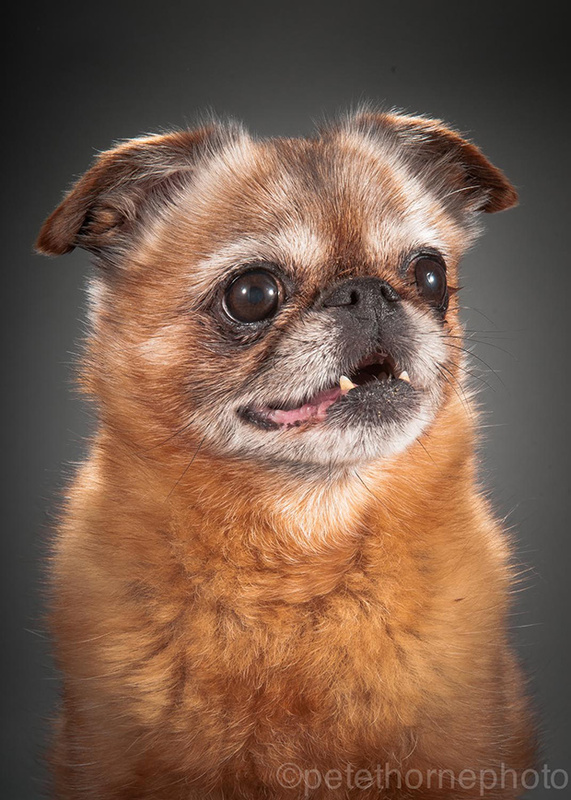 If you cannot adopt, please consider fostering or donating to your local shelters, Sanctuary for Senior Dogs, or Special Needs Animal Rescue and Rehabilitation.